What was there before the Big Bang? This is one of the most perplexing contemplations in physics and astronomy. There are number of theories to glimpse this distant past, however data is likely very scant, but maybe them is evidence of a prior universe in clear sight. Here is a series of quite remarkable videos to help you contemplate what went before, before the oldest observable photons, 13.5 GA.
Before the Big Bang 6 – Can the Universe Create Itself? While I strongly recommend that you simply watch these videos in series, the last in the series is likely the most remarkable and my opening comments alluded to this. Conformal Cyclic Cosmology(CCC) is a scheme whereby the universe is seen to be cyclic even though it never recollapse and bounces back out. Instead it undergoes whats called a conformal rescaling. What’s that ? Watch the film, all will be explained. CCC promises to solve many deep mysteries in cosmology such as why was the entropy of the big bang so low? What happened before the big bang? Where does the dark matter in our universe come from? This film addresses both the theory of CCC and the possibility of experimental verification. 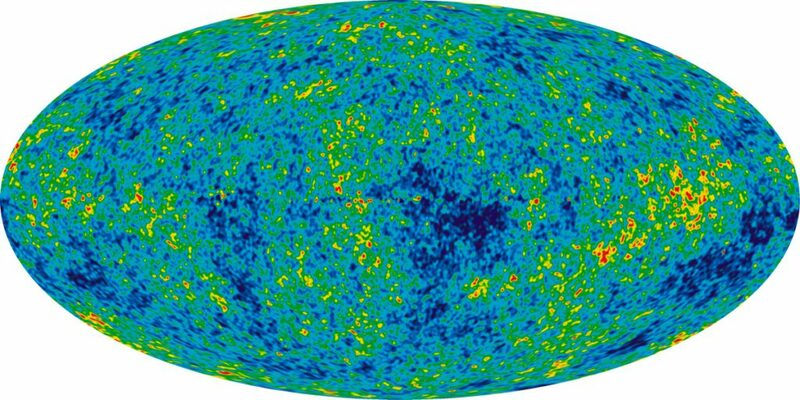 Below you will recognise the image of the Cosmic Background Radiation gathered from the COBE Satellite over a 9 year period. 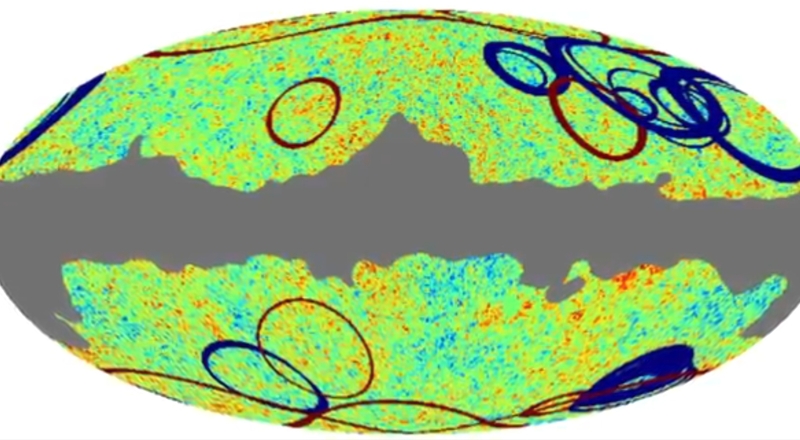 While much was made of the homogeneity of the data and the implications of this there are obvious patters in the data and various researchers have found concentric low variance circles in the CMB as can be seen in the image below. Penrose and Meisner suggest that Conformal Cyclic Cosmology implies that these structures are the product of the collision of supermassive black holes which occurred towards the end (or indeed the infinity) of an earlier universe. This is a most remarkable suggestion. In a future universe a similar pattern may be all that is residual from our universe. Conformal Rescaling of gravity at the scale of the singularity could reconcile gravity and quantum mechanics. Enjoy, I most certainly have. Jupiter as seen from the Juno spacecraft. The Juno spacecraft, which is in a polar orbit around Jupiter, is providing direct measurements of the planet’s magnetic field close to its surface. A recent analysis of observations of Jupiter’s magnetic field from eight (of the first nine) Juno orbits has provided a spherical-harmonic reference model (JRM09) of Jupiter’s magnetic field outside the planet. The non-dipolar nature of the magnetic field in the northern hemisphere and the dipolar nature in the southern hemisphere is apparent. The equatorial view is centred near the Great Blue Spot and shows the linkage of magnetic field lines that enter through the Great Blue Spot. The contoured surface on which the field lines shown start and end is at r = 0.85RJ, where the density of field lines is proportional to the radial magnetic field strength and is depicted by the colour scale (red outward flux, blue inward flux). This model is of particular interest for understanding processes in Jupiter’s magnetosphere, but to study the field within the planet and thus the dynamo mechanism that is responsible for generating Jupiter’s main magnetic field, alternative models are preferred. The authors report maps of the magnetic field at a range of depths within Jupiter. They find that Jupiter’s magnetic field is different from all other known planetary magnetic fields. Within Jupiter, most of the flux emerges from the dynamo region in a narrow band in the northern hemisphere, some of which returns through an intense, isolated flux patch near the equator. Elsewhere, the field is much weaker. The non-dipolar part of the field is confined almost entirely to the northern hemisphere, so there the field is strongly non-dipolar and in the southern hemisphere it is predominantly dipolar. 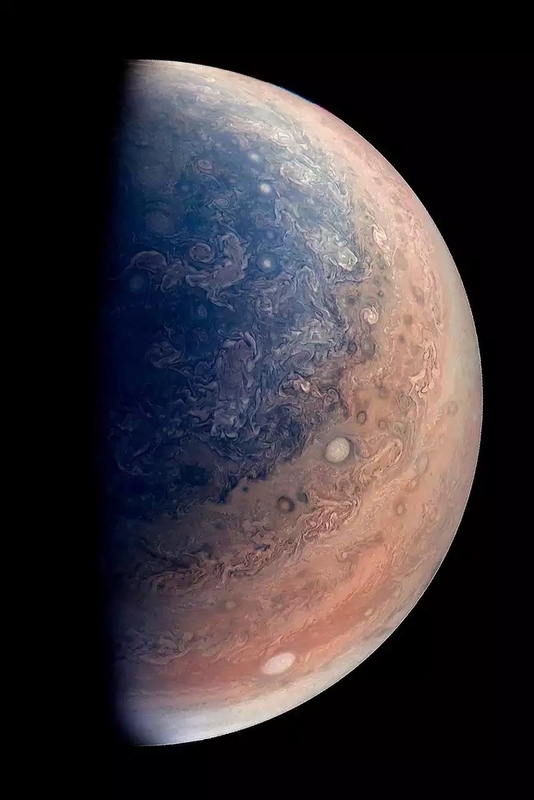 The authors that Jupiter’s dynamo, unlike Earth’s, does not operate in a thick, homogeneous shell, and we propose that this unexpected field morphology arises from radial variations, possibly including layering, in density or electrical conductivity, or both. Saturn’s moon Dione hangs in front of Saturn’s rings in this view taken by NASA’s Cassini spacecraft during the inbound leg of its last close flyby of the icy moon. North on Dione is up. The image was acquired in visible light with the Cassini spacecraft narrow-angle camera on 17 August 2015. The view was acquired at a distance of approximately 98,000 miles (158,000 kilometres) from Dione and at a sun-Dione-spacecraft, or phase, angle of 35 degrees. Image scale is 3,100 feet (950 metres) per pixel. 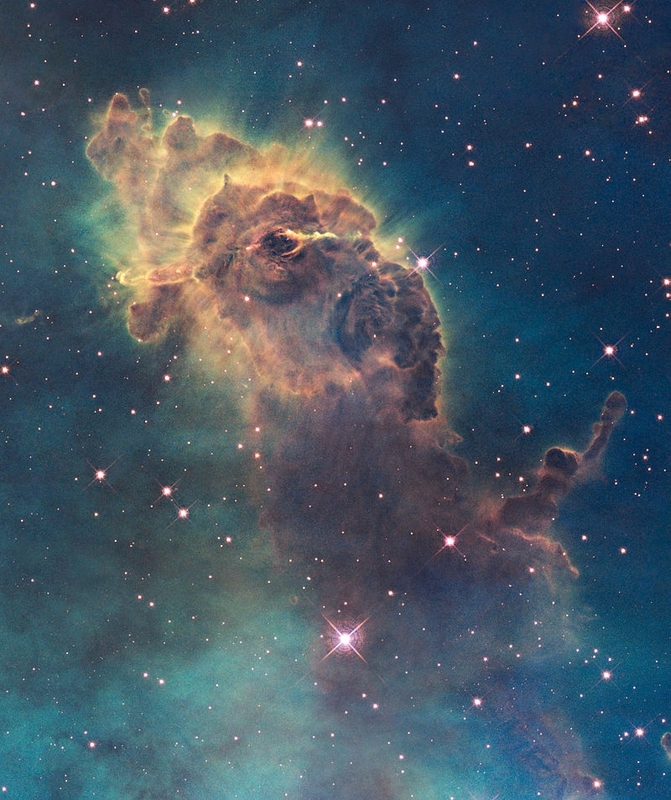 Image credit: NASA/JPL-Caltech/Space Science Institute. This spectacular image of Dione and Saturn’s rings is simply fantastic. Dione is a small moon with a diameter of 1,120 km, surface gravity of 0.232 m/S2 and semi-major axis similar to that of Earth’s moon. Its orbital period is only 2.7 days however, 10% of our moon, reflecting the Saturn’s greater mass (95 times that of Earth). 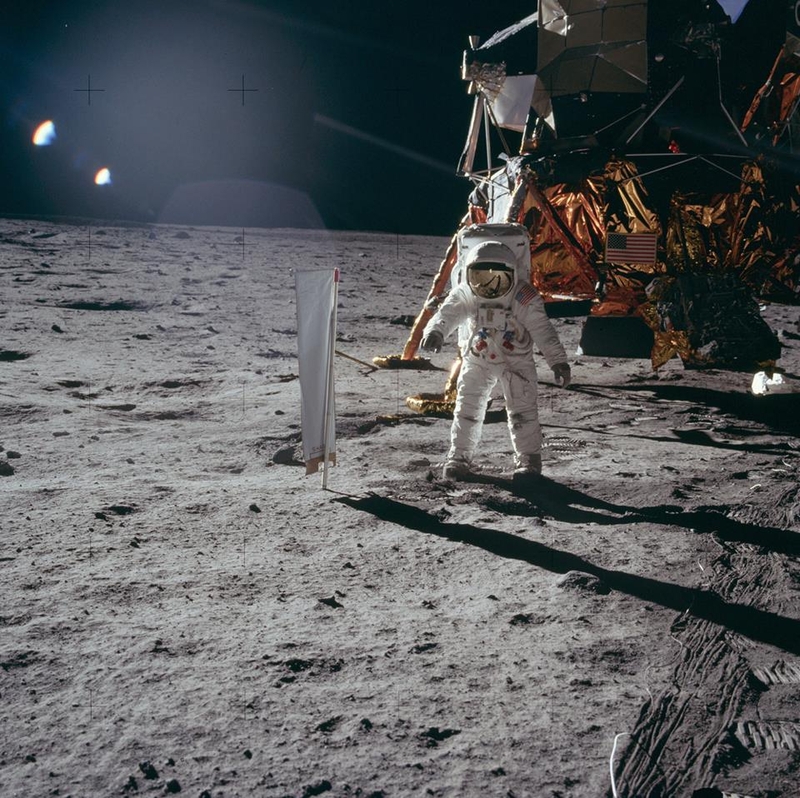 Neil Armstrong on the Moon, July 1969: NASA/JPLOn this day 49 years ago , Apollo 11 landed the first two people on the Moon, mission commander Neil Armstrong and pilot Buzz Aldrin. Our first step into the cosmos? There are 14,000 stars within 100 light years of Earth, where will we be in 10,000 years? To put this event into perspective some of the historic documents merit review and provide some understanding of the challenges and the technology of the time. 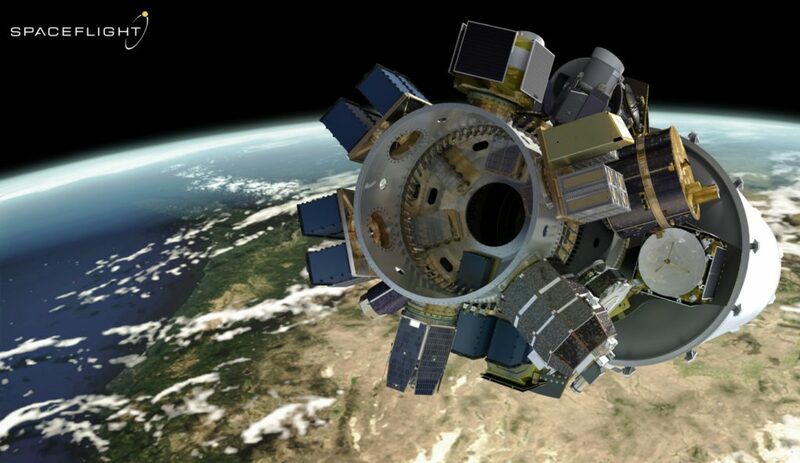 “The United States will launch a three-man spacecraft toward the Moon on July 16 with the goal of landing two astronaut-explorers on the lunar surface 4 days later. “The purpose of the Apollo 11 mission was to land men on the lunar surface and to return them safely to earth. The crew were Neil A. Arm¬strong, Commander; Michael Collins, Command Module Pilot; and Edwin E. Aldrin, Jr., Lunar Module Pilot. The space vehicle was launched from Kennedy Space Center, Florida, at 8:32:00 a.m., e.s.t., July 16, 1969. The activities during earth orbit checkout, translunar injection, transposition and docking, spacecraft ejection, and translunar coast were similar to those of Apollo 10. Only one midcourse correction, performed at about 27 hours elapsed time, was required during trans lunar coast. The spacecraft was inserted into lunar orbit at about 76 hours, and the circularization maneuver was performed two revolutions later. Initial checkout of lunar module systems was satisfactory, and after a planned rest period, the Commander and Lunar Module Pilot entered the lunar module to prepare for descent. The two spacecraft were undocked at about 100 hours, followed by separation of the command and service modules from the lunar module. Descent orbit insertion was performed at approximately 101-l/2 hours, and powered descent to the lunar surface began about 1 hour later. Operation of the guidance and descent propulsion systems was nominal. The lunar module was maneuvered manually approximately 1100 feet downrange from the nominal landing point during the final 2-1/2 minutes of descent. The spacecraft landed in the Sea of Tranquillity at 102:45:40. The landing coordinates were 0 degrees 41 minutes 15 seconds north latitude and 23 degrees 26 minutes east longitude referenced to lunar map ORB-II-6(100), first edition, December 1967. During the first 2 hours on the surface, the two crewmen performed a postlanding checkout of all lunar module systems. Afterwards, they ate their first meal on the moon and elected to perform the surface operations earlier than planned. 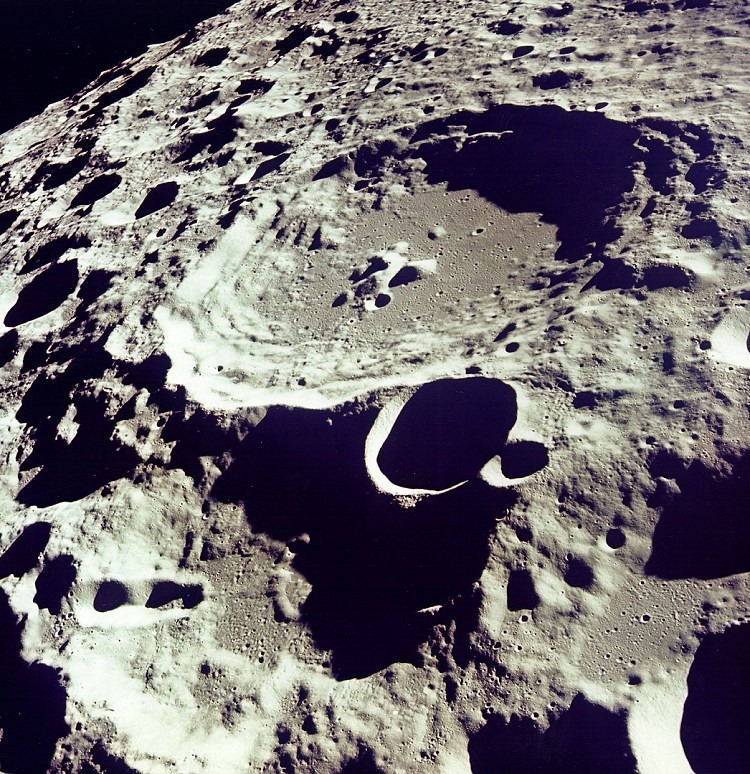 Crater 308: This photo was taken by the Apollo 11 astronauts as they circled the far side of the Moon, which is rough with craters and marks. Image AS11-44-6611 courtesy NASA/JSC. Considerable time was deliberately devoted to checkout and donning of the back-mounted portable life support and oxygen purge systems. The Commander egressed through the forward hatch and deployed an equipment module in the descent stage. A camera in this module provided live television coverage of the Commander descending the ladder to the surface, with first contact made at 109:24:15 (9:56:15 p.m. e.s.t., July 20, 1969). The Lunar Module Pilot egressed soon thereafter, and both crewmen used the initial period on the surface to become acclimated to the reduced gravity and unfamiliar surface conditions. A contingency sample was taken from the surface, and the television camera was deployed so that most of the lunar module was included in its view field. The crew activated the scientific experiments, which included a solar wind detector, a passive seismometer, and a laser retro-reflector. The Lunar Module Pilot evaluated his ability to operate and move about, and was able to translate rapidly and with confidence. 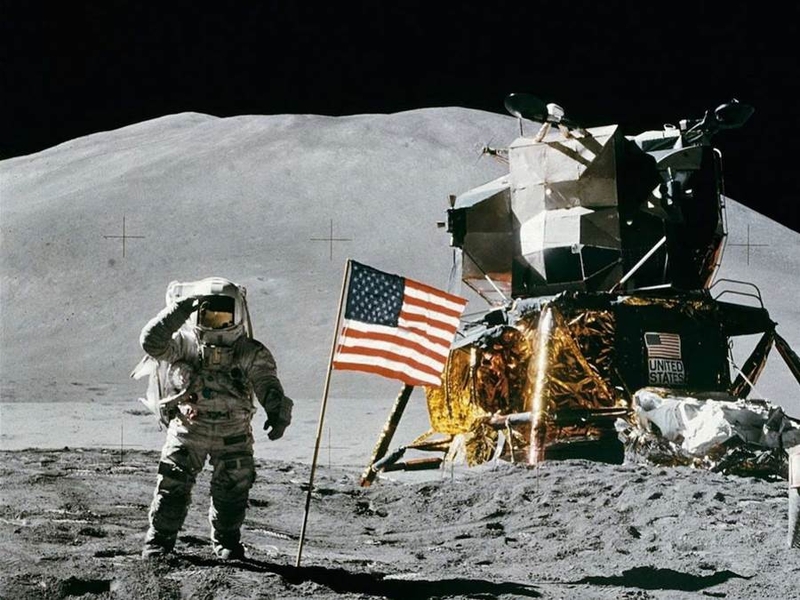 Forty-seven pounds of lunar surface material were collected to be returned for analysis. The surface exploration was concluded in the allotted time of 2-l/2 hours, and the crew reentered the lunar module at lll-l/2 hours. Ascent preparation was conducted efficiently, and the ascent stage lifted off the surface at 124-l/4 hours. A nominal firing of the ascent engine placed the vehicle into a 45- by 9-mile orbit. After a rendezvous sequence similar to that of Apollo 10, the two spacecraft were docked at 128 hours. Following transfer of the crew, the ascent stage was jettisoned, and the command and service modules were prepared for trans earth injection. The return flight started with a 150-second firing of the service propulsion engine during the 31st lunar revolution at 135-l/2 hours. As in trans lunar flight, only one midcourse correction was required, and passive thermal control was exercised for most of trans earth coast. Inclement weather necessitated moving the landing point 215 miles downrange. The entry phase was normal, and the command module landed in the Pacific Ocean at 19 5-l/4 hours. The landing coordinates, as determined from the onboard computer, were 13 degrees 19 minutes north latitude and 169 de-grees 09 minutes west longitude. After landing, the crew donned biological isolation garments. They were then retrieved by helicopter and taken to the primary recovery ship, USS Hornet. The crew and lunar material samples were placed in the Mobile Quarantine Facility for transport to the Lunar Receiving Laboratory in Houston. The command module was taken aboard the Hornet about 3 hours after landing. Cassini was intentionally crashed into the atmosphere of Saturn late in 2016, to avoid contamination of any of the moons of the planet. 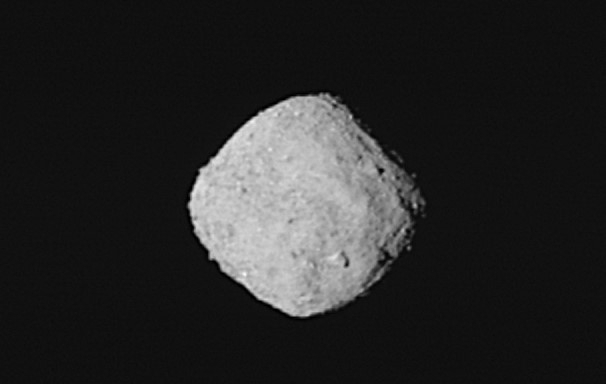 While that ended data collection from Saturn and its moons, data analysis continues to produce surprises. 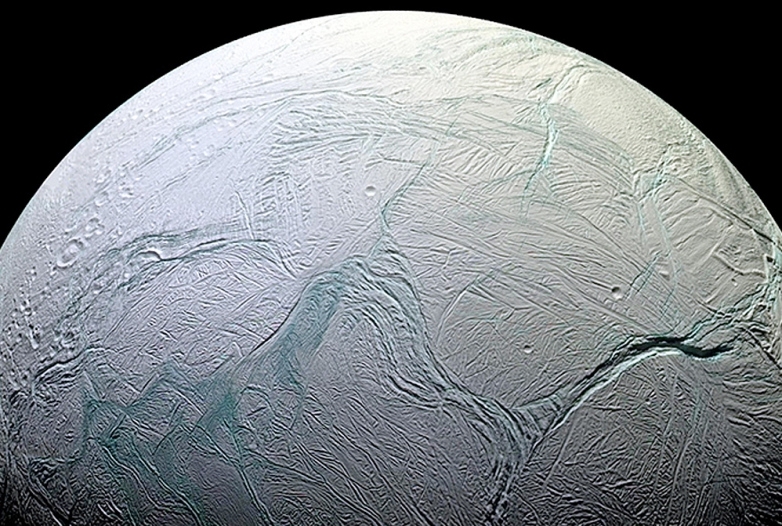 Saturn’s moon Enceladus harbours a global ocean beneath an icy crust and above a rocky core. 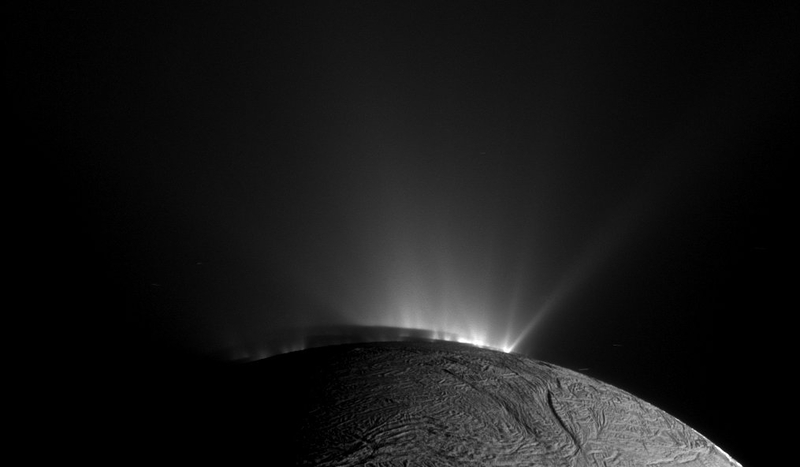 A surprising discovery in 2005 which initiated widespread debate on the potential of Enceladus to harbour life was the observation of active cryo-volcanic plumes ejecting ice and vapour into space. It was conjectured that hydrothermal activity in the core of the moon was powered by tidal dissipation produced by the strong gravitational field of Saturn. Studies of the plume in a close fly-by by Cassini revealed the present of simple organic molecules mostly below 50 Atomic Mass Units (AMUs). In a new study just published in Nature, Frank Postberg et al report the observation of emitted ice grains containing organic material with molecular mass above 200 AMU, complex macromolecular organic matter. Two mass spectrometers onboard Cassini, the Cosmic Dust Analyser and the Ion and Neutral Mass Spectrometer performed compositional in-situ measurements of material emerging from the surface of Enceladus, both within the plume and Saturn’s E-ring. the E-ring has been formed by ice grains escaping the moon’s gravity. The organic fragments, of up to 200 units of molecular mass, are created as the ice grains hit the dust-analysing instrument on Cassini at speeds of about 30 000 kilometres per hour, but the researchers believe that, prior to the collision, the grains contain the original, even larger molecules, which could have molecular weights of thousands of atomic mass units. Scientists calculate molecular mass, or weight, as the sum of weights of individual atoms contained in the molecule. Previously, Cassini had only detected lightweight organic molecules at Enceladus that were much smaller than the most recently found fragments. Such large molecules can only be created by complex chemical processes – including those related to life. Alternatively, they could come from primordial material as found in some meteorites or, more likely, be generated by hydrothermal activity. The authors suggest the presence of a refractory organic rich film at the top of the oceanic water table as the most plausible way to generate the observed grains. They suggest that this insoluble organic layer would exist at the top of the water layer likely at the base and within the large cracks evident on the surface of the moon. “In my opinion the fragments we found are of hydrothermal origin, having been processed inside the hydrothermally active core of Enceladus: in the high pressures and warm temperatures we expect there, it is possible that complex organic molecules can arise,” says Frank. Be very happy – it happened in your lifetime. Solar Activity remains subdued – with the chance of a C-Class Flare. Surface Temp remain at 5778K – largely unchanged for the last 100 Million Years. 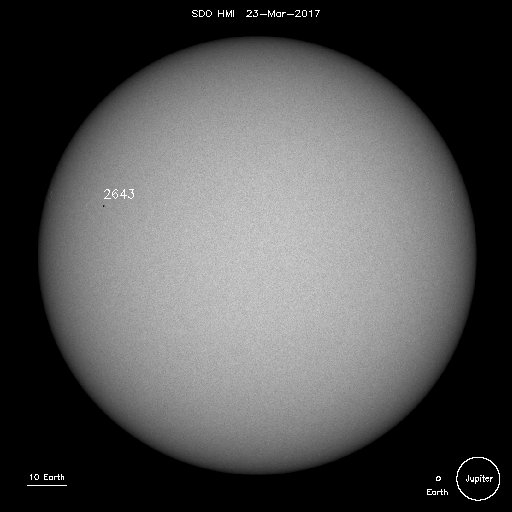 “Analysis of Solar Active Regions and Activity from 22/2100Z to 23/2100Z: Solar activity has been at very low levels for the past 24 hours. There are currently 1 numbered sunspot regions on the disk. The continues to show little sunspot activity and is very quiet as we enter the solar minimum. 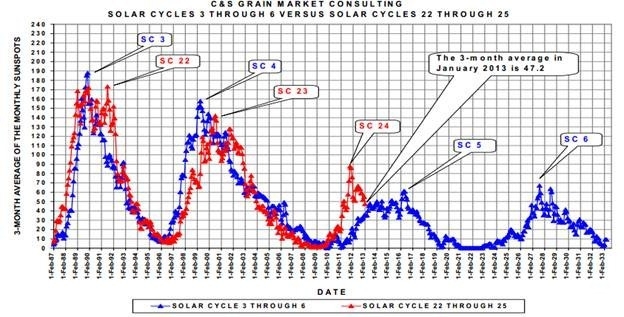 Solar cycles 22 and 23 are show very similar trends to SC 03 and 04 which receded a 70 year period when there were no reported sunspots resulting in reduced insolation and a very cold period in northern europe.